petition: Andrew Wheeler is the Worst. Don't Let Him Lead EPA. Andrew Wheeler is the Worst. Don't Let Him Lead EPA. 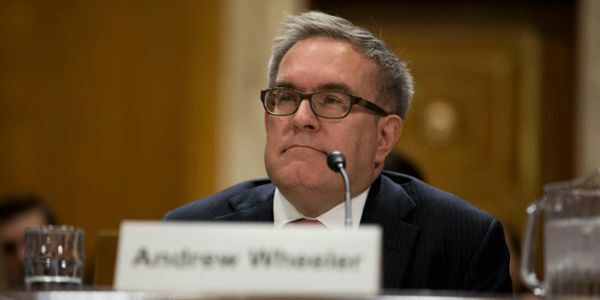 Andrew Wheeler — coal industry lobbyist, Acting Admistrator of the Environmental Protection Agency, the actual worst — has officially been nominated to take his relationship with the EPA to the next level and become official EPA Administrator. We're not really about it. In his time at EPA, first as Deputy Administrator under our corrupt former nemesis Scott Pruitt and as Acting Administrator, Wheeler has proudly displayed his true colors. Instead of protecting our communties from threats like climate change, pollution, and toxic chemicals, he's attacking critical protections in order to benefit his polluter friends. Tell your Senators that young people will not stand for Wheeler's nomination as head of the EPA. I am deeply concerned about Andrew Wheeler taking Scott Pruitt's place as the permanent Administrator of the Environmental Protection Agency. Wheeler went straight from lobbying for polluters to working at the EPA. Seeing the damage and turmoil Wheeler spearheaded while Deputy EPA Administrator under Scott Pruitt and his continued attacks on key health protections as Acting Administrator, it is clear that we cannot afford a leader at EPA that is more concerned with industry profits than our health and safety. The EPA has a duty to protect our communities from threats like climate change, pollution, and toxic chemicals. Through his attacks on critical environmental protections, Andrew Wheeler has demonstrated time and time again that he will not fulfill that duty.